If you've not yet ventured on a camping holiday in Jura, you're in for a real treat. The jewel of France’s Burgundy region, Jura offers a tantalising mix of unspoilt woodland, lakes and cascading waterfalls. It’s the perfect place for a family camping holiday, whether you want to get close to nature, admire old fortresses or relax in a stylish thermal spa. The magical forests and majestic mountains of Jura provide an amazing setting for a really active holiday filled with mountain biking, hiking, water sports and dog-friendly walks if you plan on bringing your canine friends on holiday, too. Campsites in Jura put you right in the heart of the action. 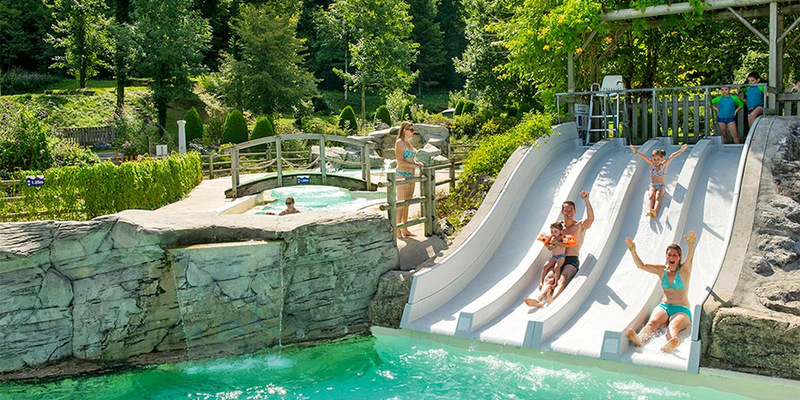 Camping Domaine de Chalain - idyllically located on the shores of Lac de Chalain - is perfect for an outdoorsy escape with plenty of activities and fascinating attractions within a short drive to keep you occupied. 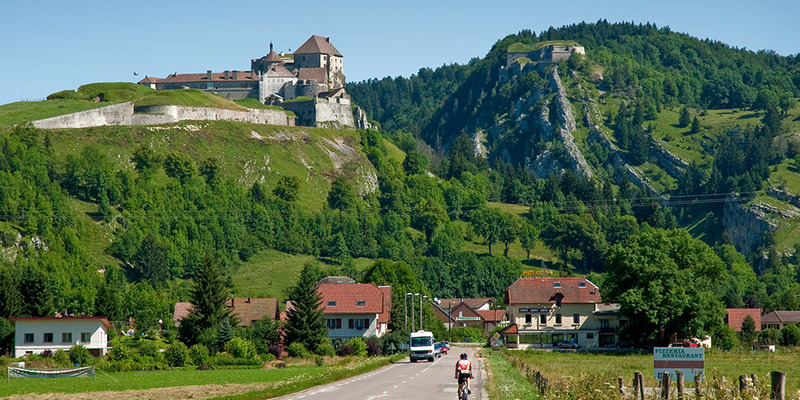 Found on France’s eastern border with Switzerland, Jura is a truly magical region. Its south is famed for the magnificent Jura Mountain range, while the north is where you’ll find wide stretches of vineyards as well as medieval villages set amongst rolling hills and pretty valleys. If you were hoping to swim or indulge in some water sports when camping in Jura, you’ll discover the region is dotted with fresh water lakes boasting sandy beaches. The heart of Jura is additionally well-known for its thermal spas, especially those found in Salins-les-Bains - set near a massive salt mine - and Lons-le-Saunier. Fort de Joux - Château de Joux, with its commanding views and breath-taking cliff top position, has been a castle, a grim state prison and a military fortification. Take a guided tour and browse the rare weapons in the museum of armaments. Cascades du Hérisson - This spectacular natural feature is a series of thundering waterfalls and torrents, dropping more than 800 metres through a rocky valley. Head to the Maison des Cascades Visitor Centre to learn about the history and legends of the Hérisson valley. Baume-les-Messieurs - Set at the meeting point of three valleys, the pretty village of Baume-les-Messieurs is home to a famous Benedictine Abbey. Take a guided tour of Les Grottes de Baume, an amazing system of caves and underground lakes carved out by the River Dard. Besançon - A city on the Doubs River dominated by its sprawling Citadel. Enjoy the views from the ramparts and allow plenty of time to explore the Museum of French Resistance and Deportation, the natural history museum and the Musée Comtois, which depicts local life and history. 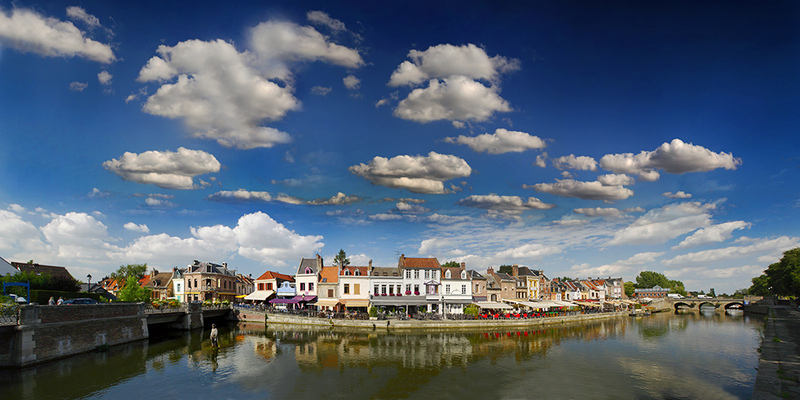 Lons-le-Saunier - A pretty town with Roman heritage and a thermal spa. There are several museums, including one dedicated to its famous son, Rouget de Lisle, the composer of the ‘Marseillaise’. Clairvaux-les-Lacs - This small market town is the main resort of the Jura lakes region. The scenic Grand Lac with its lovely beach is the focus for active pursuits, but there’s also an aerial adventure park set in the surrounding pine forest.